A nice forkhorn and an exceptional forkhorn. 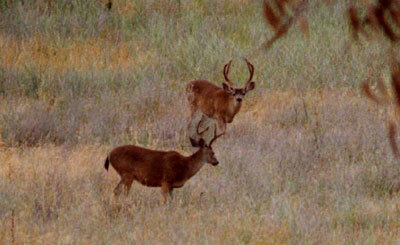 These blacktail bucks were photographed in California's deer A Zone by Jim Tonkin. Bucks like these are being chased by bowhunters right now and the rifle hunters will start after them in just a couple of weeks. There is nothing like an exceptional forkhorn to get your blood pumping faster!